Social Security office to get more specifics. I know some SSA offices are more helpful than others, but they should be able to outline your options. Joan - I'm sorry to hear about your husband. We will need some additional information here. You can definitely claim as a widow. Was your husband claiming benefits before he passed? Your best bet is to make an in-person appointment at the local Social Security office. I am age 62 and retired. At 70 1/2 I have to take RMD. What can I do with some of my IRA to offset the impact. I converted some to a Roth this year. What are other strategies. Hi Joan, I'm sorry for your loss. Yes, you can claim benefits now. I don't believe widow's benefits grow by deferring them. We don't know if you have your own benefit which you'd want to compare to your survivor benefit. Walt's correct in suggesting you speak with SSA to understand your options. 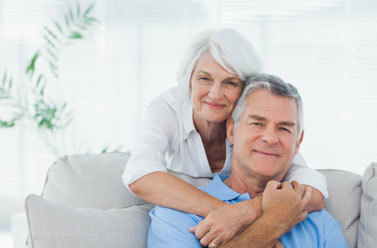 I know your loss is fresh, but you should also know that remarriage after age 60 does not impact your widow benefits. Greta- believe it or not, you may want to start taking some distributions prior to age 70 1/2. Since you stated that you are retired, your income will most likely be lower than it has historically been and lower than it will be when you reach age 70 1/2 and begin RMDs. Develop a strategy of "smoothing" your income of these in between years to lessen the impact of taxes later on. You can take some distributions now at a lower tax bracket. Greta - If you won't need the RMD money to live on you could just pay the income tax on the RMD and reinvest the after-tax portion into a taxable investment account to continue the compounding earnings. Of course this doesn't save taxes, but short of doing a charitable gift of some sort, I can't think of much else. The Roth conversion is a good strategy, and is even more powerful if you are doing it while in a low marginal tax bracket. Greta, ask your advisor or hire one to explain in detail and context of your situation about a QLAC, Qualified Longevity Annuity Contract - I am not advising for or against, simply learn if it is a tool appropriate for you. Greta – if avoiding RMD in the future is the only tax / investment objective, than the Roth conversion without going to a punitive amount is a great strategy. Often there are more considerations though. Certainly projecting what takes will be when you need to make withdrawals is one. If you were putting yourself in a position to pay higher taxes today either by going into a higher bracket or losing credits and deductions versus lower later it certainly isn’t worth it. Hello. I am returning to live in the US after 27 years in Canada. I have no retirement plans in the US and am wondering what vehicles would be available for me to invest for my retirement. I am 50. Greta, converting to a Roth is an excellent approach. Deciding how much to convert is a bit more complex since this will increase your ordinary income each year. We suggest you run a tax projection near the end of each year to figure out the optimal amount to convert. In the years where you convert too much or the markets turn on you and the value of the account decreases you can consider recharacterizing some or all of the conversion. The deadline for recharacterization is October 15 each year for the prior year's conversion. You should meet with a fee only planner or tax professional if these calculations are beyond the scope of your expertise. Welcome home Returning Citizen! Context is everything so after you get familiar with the choices, see a fee-only planner to discuss what makes sense for you - here's a general article from investopedia - google searches and your library will cover this ground fairly completely. 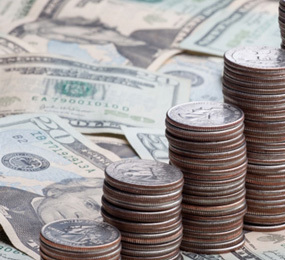 InvestopediaWe'll show you how to choose between Roth IRAs, Traditional IRAs and 401(k)s.
Hi Returning - One of the most common is the company-sponsored 401(k) plan, which often include company matching contributions. Of course there is also the IRA and Roth IRA. The first is tax deferred and the second is tax-free. Contributions to an IRA are tax deductible with certain exceptions, and contributions to Roth IRAs are after-tax. You could also just open up a taxable investment account in your name, but you will pay tax on the investment earnings annually. If you really are starting your knowledge bank from scratch, as Bonnie said, you should probably do some reading first. Good luck. Hello Returning Citizen - Welcome back to the USA! Depending on your income and employment, there are many options. If you make less than $116k (single), phaseout range $116k - $131k or $183k married, phaseout range $183-193k, a Roth IRA is a great tool. You can set aside after-tax money ($5,500 per year +$1,000 since you are age 50+), which will grow tax-free and then is distributed tax-free at retirement. Your employer may offer a 401k plan, often with a company match which is like free money. Always take advantage of that! There are also many plans available to the self-employed - individual 401ks, SEP-IRAs, etc. I think the Kiplinger link below should be a great starting point. Thank you all for your responses. 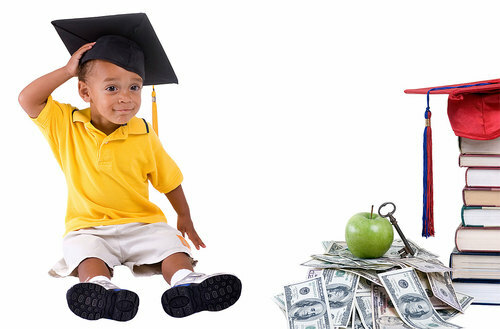 I've debated between a Roth IRA and the 529 plan and have a little money in both. It just seems so far away and as Robert says a lot can happen between now and 12 years from now. My daughter is 6. I'm definitely leaning toward a Roth for the flexibility. www.kiplinger.comA Roth IRA allows you to take out your contributions at any time, tax- and penalty-free, so you could tap that money for college expenses. I just inherited a Roth IRA from my father, who told me that one of the benefits of the account is that he didn't have to take RMDs. Will that be true for me as well? Thanks Denise! The thing about the Roth that most don't consider is over 18 years you'll likely be able to contribute over $100,000 (and double if you have a spouse) that can be withdrawn contributions first, no penalty or tax. That's a lot for many to consider as their contribution to college. Just make sure you're eligible for a Roth contribution. Mike- Sorry for your loss Mike. While your father did not have to take RMDs, you will need to do so from your inherited Roth IRA. You should consult with a fee only planner, tax advisor or the custodian for the account to calculate the distribution amount. Hi Mike - yes, Summit "summed" it up. For a non-spouse beneficiary to a Roth IRA, RMDs need to start immediately based on the beneficiary's life expectancy as found in the IRS table. I am currently 27 years old sleeping on my mother's couch and contributing 85% of my monthly income towards my student loans to put as big of a dent in them as I can. I currently have about $115,000 of debt and make $65,000 a year. My monthly student loan minimum payments take up around 33% of my discretionary income. I am also putting off marriage, having kids, buying a house and all those other good life steps with my girlfriend of 7 years until I can get more financially stable. I am also only contributing a minimum to get the match on my 401K so I can use all the money I can to eliminate my debt. Would you consider my strategy of postponing life to eliminate my debt the smartest way to financial freedom? Mike - That is NOT true for you. Even though you can continue the tax-free growth of an inherited Roth IRA, you will have to take annual distributions if you are the designated beneficiary and those distributions must begin by December 31 of the year following the year your father passed away. Corey – financially speaking, it sounds like you’re doing the best. However, financial planning isn’t about maximizing every penny. Have you spoken to your lenders about the current payments? Are they federal loans? If you do you should have income-based repayment options that don’t cost 33% of your income so you can perhaps pay down the loans and also not put off living quite as much. I should have added that the amount of the required distributions are based on a life expectancy table and will be based on your date of birth. If you are not the sole beneficiary, then you will probably want to split the account into multiple Roth IRAs. Not enough detail to offer more help. Corey - You are to be commended for your financial discipline! At 27, I'm sure it's not easy to live your lifestyle, but won't it feel good when it's behind you? You are wise to realize that contributions to your 401k are still important, especially to receive that "free money" in the form of your company's match. You have a great start on your retirement savings, so while paying down student debt, you're saving for the future and holding down a great paying job. Kudos to you! Hi Corey, boy, I smiled when I read your question! My own sons are 31 and 29. First, congratulations on being a responsible kid I'm certain your parents are proud of. Because I do so much divorce work, I do have a question about your girlfriend of 7 years: Is she as tuned into personal finance as you are? If not, this is a great time to 'marry' how you both approach finances/goals. As for postponing life, heck no - don't do that. What do you value most? There are so many ways to approach this you can start with things that are free - what are your interests? Being outside can be free or cheap, one of my sons is a rock climber and that's not expensive for example. Another of my son's has student debt from his MS degree and he's married, with a child, both work, and they have a home and rental. Neither was handed any of that - If you're not inclined to do this 'work' of understanding 'Corey's Big Picture', sit with a fee-only planner who will guide you through the process (one who espouses life planning) and that can be very illuminating and serve to answer this question for you - good luck!! 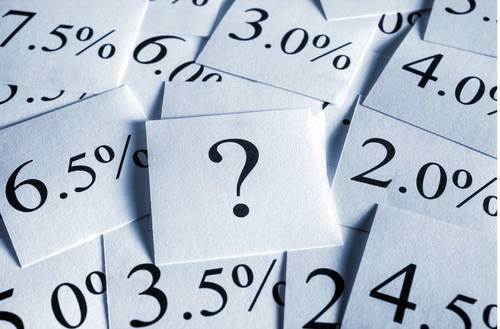 Hassan - I have no idea whether 20% stock and 80% bonds is appropriate for you, but I do know that your investment allocation should be considered in light of all the other parts of your financial plan. Perhaps you should seek advice from a fee-only financial planner. Corey, I agree with the others and want to add that you should consider diverting some of your loan repayments into a cash reserve account that can be used for emergencies and opportunities such as a down payment on a home or setting up an apartment. Financial planning is not just about being debt free and asset rich. Its also about having a life that fulfills your dreams and goals. Hassan- I'm happy to see that you have discussed the appropriate amount of risk to take in your portfolio in terms of stock/bond mix. Typically a financial planner would help you select the individual funds to achieve this mix. We can't render specific investment advice during this chat. I'd advise you to seek out a fee-only NAPFA planner who is required to act as a fiduciary for you. My wife and I are 59 in good health. We have a net worth of 2 mil. Can we self insure for LTC? it would be difficult for us to answer your question directly. 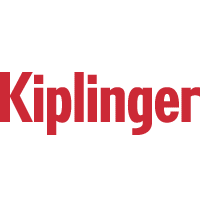 www.kiplinger.comFacing scaled-back benefits and premium hikes, baby boomers can use several strategies to help cover future costs. Bill – net worth is certainly a consideration. As is income and if you can afford it now and in the future, especially if costs rise. I find many choose self-insuring after being presented the options. I’m not so convinced we’ve seen the end of increases in LTC insurance, and so a cost / benefit analysis is very difficult to do. That said, if you ever end up with it, it will likely be best to get the current policies at your earliest age. There are also alternatives to fully insuring an LTC need that I advise clients speak to more than one insurance professional firm that specializes in LTC to provide several options and ways of looking at the problem. If you're on the fence, maybe a partial insurance strategy makes sense. Bill - now that's a good question! It all depends...You're at the age where you could still obtain coverage for LTC. Without knowing the facts of your scenario, I can't really answer. Are you still working? Income? When will you retire? Will you receive income in retirement? What are you annual expenses now and in retirement? Do you have longevity in both sides of your family? $2MM is a substantial net worth, but depending on circumstances it could be eaten up fairly quickly. I'd recommend sitting down with a fee-only advisor and working through some scenarios. Hi Bill, maybe! LTC policies can be a bit of a challenge to understand and apply the right policy. If I'm selling LTC (and I don't), I might say everyone over the age of 18 should consider LTC. But since we know that like auto premiums, the folks who never tap the policy help pay for those who do, there's a reasonable chance you'd never trip the policy and premiums can be expensive and a drain on cash flow. That said, we model a 3 year event for clients in their geographic area that shows us what that looks like and then we overlay any policy we're considering to see how that remedies the cost. I can tell you from feedback from my clients - the underwriting process is necessarily invasive and they will find any/all health issues and price the policy accordingly, there are many different policies in the market from companies of varying strength. Insuring on your own can be done and that gets modeled too. The insurance pro I use is John Ryan of Ryan Insurance and his website has an LTC university with lots of information. Helen - your husband will be able to roll his Fidelity 401k into a Fidelity Rollover IRA. Once it's in a retail account, he will have full access to the mutual funds, ETFs, stocks that he wants, not just what his former 401k plan offered. There are no tax consequences for doing this or for moving it to a Rollover IRA at another custodian like Scottrade or Etrade. Just make sure it is handled as a custodian to custodian transfer so you don't have to worry about a check getting deposited in time. Helen – a self-directed 401(k) is different than an IRA. You can’t choose a self-directed 401(k), your employer chooses that. He has to transfer to an IRA if he wants more options. As long as he does a direct transfer (rather than a rollover) there are no taxes and penalties. Where to go is based on his strategy, I don’t have a recommendation for that not knowing him, but I’m sure there’s a Kiplinger resource on brokerages online! Hi Helen - It sounds like your husband wants to roll his 401(k) to an IRA, which is a tax-free event but as you said he must wait until he's completely retired. Keep in mind too, that if he retires six months from now, which would be March 2016, he still might receive a year-end contribution in 2017 depending on the plan rules for matching and/or profit sharing contributions. There are lots of low-cost custodians out there and you both should be involved in choosing one, not just your husband. Often service considerations are as important as cost considerations so make that part of your due diligence. Hi Helen, there is no tax consequence on a direct rollover to an IRA as the other advisors have pointed out. If he doesn't love Fidelity funds now, keeping it with Fidelity, he may pay more in transaction fees for non-Fidelity funds. This is true of Vanguard, T Rowe, any mutual fund company. But if you're contemplating rolling over to a brokerage account, as Walt points out, you have lots of choices and generally the full universe of investment choices. I need some extra cash for a short time. Can I take some stock from my IRA (all in securities), sell the shares and then return the cash to the IRA within 60 days? 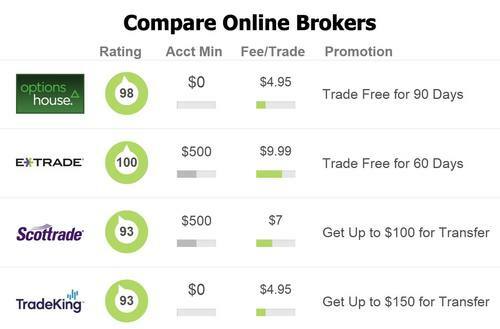 Did someone say online brokers?